The Queen was refused a heating grant because Whitehall officials feared a public relations backlash, it has been reported. A royal aide asked the government if the Queen was eligible for part of a £60m energy-saving fund in 2004, the Independent newspaper said. The aide was told grants were aimed at families on low incomes and a handout could result in "adverse publicity". A Buckingham Palace spokeswoman has declined to comment. According to documents which were obtained by the Independent under the Freedom of Information Act, the Queen's deputy treasurer wrote to the Department for Culture, Media and Sport, saying the cost of the Queen's gas and electricity bills - which had doubled in 2004 - stood at £1m a year and had become "untenable". The Royal Household also complained that the £15m government grant to maintain the Queen's palaces was inadequate. 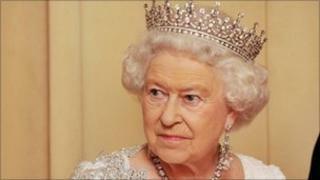 It said the grant request was to replace four combined heat and power units at Buckingham Palace and Windsor Castle. In an apologetic e-mail to the Palace, the government said the handouts were aimed at schools, hospitals, councils and housing associations - for heating programmes to benefit families on low incomes. The official also expressed concern that if Buckingham Palace were given money from the fund it would lead to "probable adverse press coverage". The e-mail, which was written in August 2004, said: "I think this is where the Community Energy Funding is directed and ties in with most allocations going to community heating schemes run by local authorities, housing associations, universities etc.